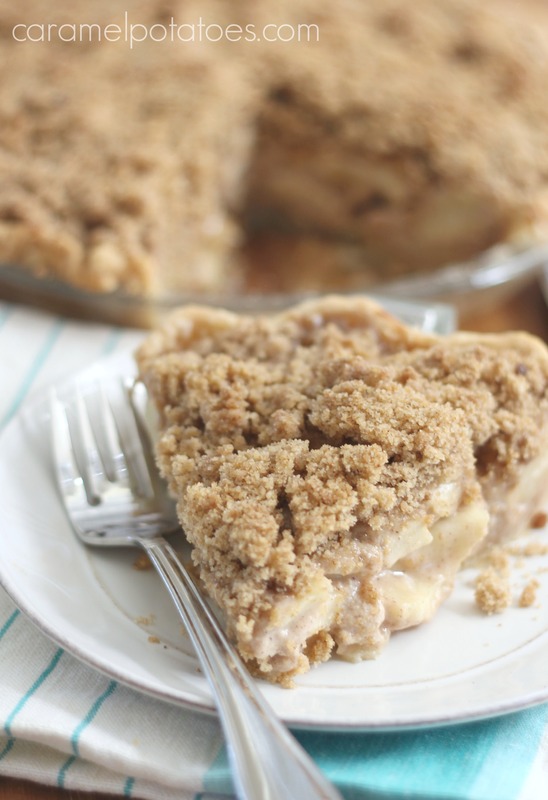 Since it is the season for Pie, I thought I’d share another favorite of my mom’s pie recipes. 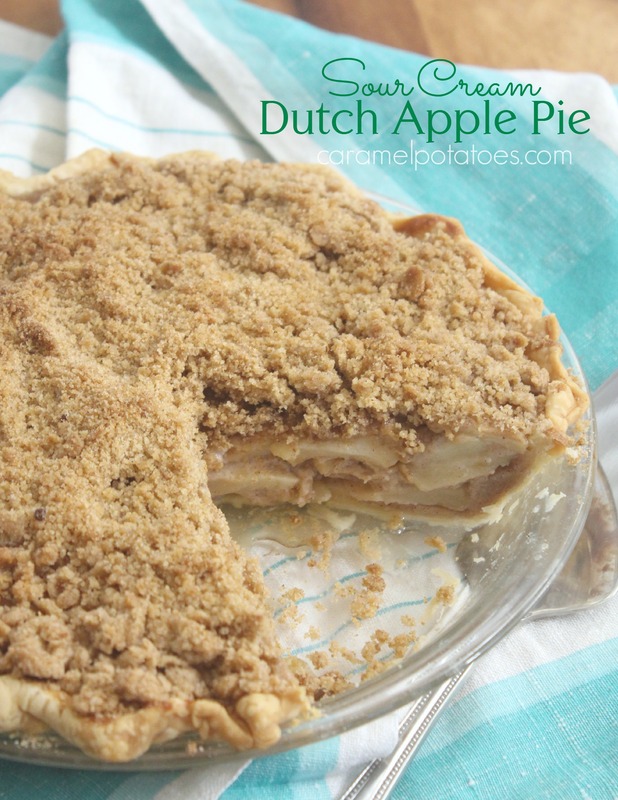 This Sour Cream Dutch Apple Pie is a wonderful pie to add to your Holiday Dinners. 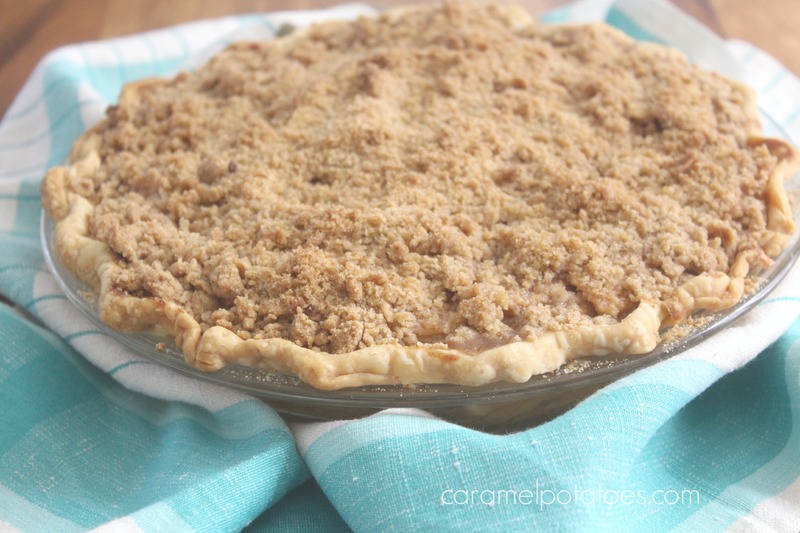 The sour cream gives it a rich creamy filling and the butter-brown sugar crumb topping makes it absolutely perfect! 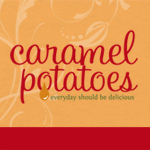 Seriously – this is love at first bite! So what is your favorite holiday pie? I’m not sure I could pick just one! Toss the apples with the lemon juice in a large bowl. Mix the flour with the white and brown sugars, cinnamon, nutmeg and salt. Sprinkle the sugar mix over the apples and stir to combine. Stir in the egg and sour cream. Spoon the apples into the pie crust. To make the topping combine the flour with the brown sugar, cinnamon, and lemon zest. Cut in the butter with a fork to make a crumble. Top the pie with the mixture. Bake the pie for 50-55 minutes. Allow to cool before serving.